Advertisements are a vital piece of your business’s marketing strategy. They can reach dozens, hundreds or even thousands of people if placed strategically. If you are doing proper customer segmentation, you can reach very targeted market. Not surprisingly, there are some places that are better than others for ad space. Below are some of the most powerful places to buy ad space. Relevant websites can greatly increase your business’s marketing efforts. One of the first places you should look to buy ad space is a website that relates to what you’re selling. For example, if you run a gym you might want to purchase ad space on a website focused around weight loss. This is the most specific way to reach your desired audience through advertisements, and it also lets you focus on a specific region or area. Use emotional images, provocative key words and powerful questions to get a viewer to click on your ad. You want to make a lasting impression, and relevant websites allow you to do that through a niche. Although relevant websites can help your business appeal to those already interested, mass appeal websites can draw other people towards your business. 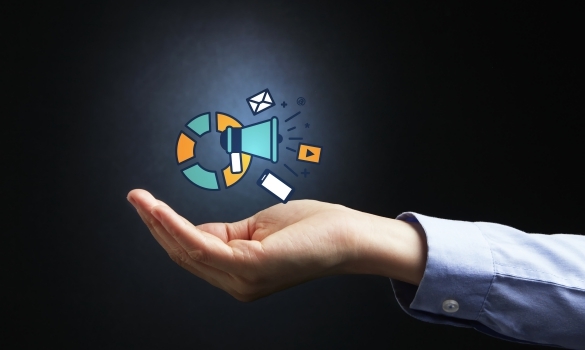 This can increase the scope and volume of your campaign. Mass appeal websites often offer packages for personal branding or personalized marketing. Customers who searched something relative to your ad will see it in the banner at the top of the page. You can also pay more to have your ad sponsored. No matter what kind of website you decide to advertise on, make sure your ad is optimized for mobile devices. Have you seen those touch-screen mall directories? Some bus stops now have those for users passing the time while waiting for their ride. Most aren’t touch screen, but the location is perfect for your advertisement. Using those bus board spaces for your advertisements is ideal, since lots of people stand there every day. Moreover, they often are searching for entertainment. Americans who spend about an hour traveling via public transportation every day will happily engage with your ad. The disadvantage to this type of advertisement is that it isn’t very targeted marketing, unless you want to focus on people who take the bus. However, the mass exposure is key. Television advertisements are still hugely effective, even in the age of no commercials. A strong advertisement airing at the right time can hugely influence buyer’s decisions. Think about the burger commercial you saw when you were hungry, or the sports drink advertisement during the basketball game. Local broadcasts typically charge around $500 for thirty seconds on-air, but the prices vary greatly. You can also consider something like Ad Space Networks, which grants you space in shopping center televisions. Television is a great marketing tool to get your brand name or mission to multiple people. Think about what type of television advertisement would be most affordable for your business, while giving it the exposure it deserves. Social media platforms like Instagram and Snapchat now allow advertisers to buy promotional space. The average person checks multiple social media accounts a day, often spending around two hours a day scrolling. This makes social media a great place to buy ad space. Snapchat allows the marketing manager to set a budget and run video ads. The marketing industry spends about $5,500 to market on social media per month. Ad space on these sites is valuable because it reaches such a diverse population. Consider buying ad space in different social media platforms, and see how each influences your predictive analytics and overall marketing campaign. Marketing tactics vary based on business, but there are certain methods that help your business grow faster. Look for ad space in relevant websites, but don’t neglect bigger search engines that can give you a wider audience. Next time you stand at a bus stop, think about the advertisement posted on the side. Is it effective? Why? Additionally, television and social media are great places to put your business ad, because it will be seen by the majority of the population. By posting your business in the most powerful places to buy ad space, you can run a smarter, more successful marketing campaign.